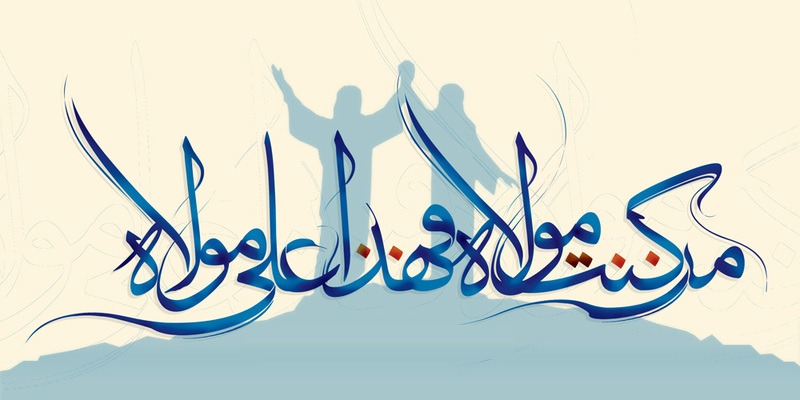 Ghadeer: Why did the Prophet leave it so late? The day of Ghadeer is celebrated all around the world today, and is known as the day of the announcement of the divine plan of Imamah. In the midst of celebrations one would come to the question that many do when sitting alone, pondering on the history of Islam. If this was such an important announcement why was it left until just two months before the death of the Prophet (S)? Surely such an important part of the religion would have been clear throughout the prophetic mission? I wouldn’t blame anyone for pondering over this when I consider the way our history has been written. It is a fair point to make. The truth is that there is a vast amount of answers available, but these answers are all scattered throughout the history books. They need to be brought together so one may have a clear, chronological and vivid view of the history of Islam. It is reported that the Prophet (S) then called his relatives of Bani Hashim and asked them: who will be my brother, my trustee and the caliph after me? Everyone in the gathering remained silent except a very young Imam Ali (a). ‘Me’. The Prophet (S) asked a second time, and again they were all silent except Ali (a). The third and final time the Prophet (S) asked, the Imam replied once again, ‘me’. ‘You,’ said RasoolAllah (s). For the record, this is not an exclusive Shia Hadith, it is available in Shia books and Sunni books too. Therefore, the announcement took place in Mecca, before the Hijra to Medina. This leads us to the question: what events took place from this day to the day of Ghadeer? What happened? And the answer is the blossoming of Imam Ali (a) as the second man in the Islamic nation. What I mean by that is Imam Ali (a) was the one who was always by Prophet’s (S) side and took charge after him, he was the first advisor to the Prophet (s), the general of his army, his flag bearer, he was the leader of the security operations, he was the one with the Prophet (s) morning and night. He was the Prophet’s (s) bodyguard. 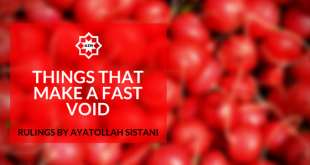 They were so tightly knit together to the point that when the prophet would sit down for a while in the mosque, his knees would began to compress and it would become difficult for him to get up. No one would dare to drag him or hold him; only Imam Ali (a) would come and grab him by the hand to lift him up. The relationship was this delicate. This detailed. For someone to come to hold the Prophet (S) and walk behind him, no one dared. Only Ali (a) would do that. The personal bodyguard to the Prophet (S). Only Ali (a). Imam Ali (a) would get anxious when the Prophet (s) was not in his sight. At Badr, the Imam said he would fight the enemies then quickly return to make sure the prophet was okay. He would always remain a few metres from the Prophet’s (s) reach. 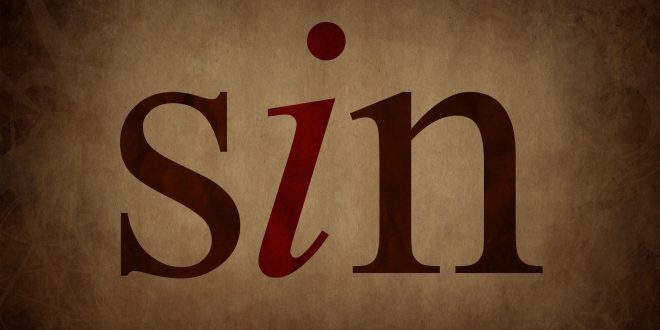 How many ran in Uhud? But Ali (a) stayed despite all odds. Forget war, let us look to normal life in Medina. The Prophet (s) and the Imam were together and soon went their separate ways to their homes, but the imam got worried over the Prophet (s) so he came back and knocked on the Prophet’s (s) door to make sure he was well. A woman from inside the house called out that the Prophet (s) was busy. The imam took a few steps away from the door, but his heart would not let him leave. He came back and knocked once more, and once more the woman told him the Prophet (s) was busy. The Imam would take a few steps away, and then come back again. 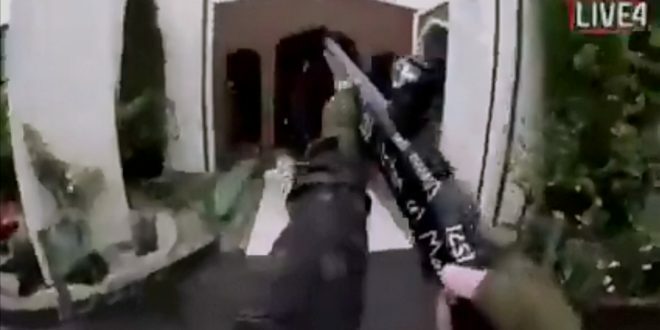 He kept doing this until he knocked on the door hard enough that the Prophet (S) could hear him. RasoolAllah (s) heard and asked who was at the door, to which she replied ‘Ali’. ‘Open the door,’ said the Prophet (S). They could not be kept apart. If any random man was to enter Medina at those times, after only having spent a day or two there he would be able to answer the question for you quiet easily: who is the deputy, who is in charge after the Prophet (S)? The man would take his finger and point it at Imam Ali (a). ‘Him,’ he’d say. It would be the obvious answer. Ali (a) is the one that solved matters after the Prophet (s), the one with the Prophet (s) at his home and by his side when out of the home, the one whom the Prophet (s) hands over the greater matters of the nation to. He is the trustee, the student of the Prophet (s), hec he was raised by him (not to mention marrying his daughter, but that’s another issue). That random man would tell you, in a very obvious manner, that this man Ali (a) is the one in charge after the Prophet (s). It was that clear, a reality. It didn’t need the Prophet (s) to say it. If we are to take all these small stories and gather them, we would come to the conclusion that there is no comparison to any one in terms of closeness to the Prophet (s), leader, secretary, deputy… no one other than Ali (a). Another event was on the day of when the Prophet (S) and Abu Bakr reached the town of Qibba before the first ever entry into Medina. Qibba was 7km outside of Medina, and the Prophet (s) stopped there to wait. Abu Bakr would insist for him to go in, but the Prophet (s) would reply that he will not go in until his brother, Ali (a), comes. The Imam was late because he stayed in the Prophet’s (s) bed as a decoy to save the Prophet’s (s) life from the people of Mecca. He was on his way now to join the Prophet (s) at Qibba so they may enter Medina together. Abu Bakr insisted repeatedly for the Prophet (s) to go in, but the Prophet (s) refused each time until Abu Bakr left and entered Medina on his own. With history one must read in between the lines. The entry into Medina would go down as one of the greatest and most historic events in Islam. Imagine he scene with me: It was the sunrise of Islam, its introduction to the world outside of Mecca. A very special day. The people of Medina are all waiting for the Prophet (s), it was bound to be an iconic entry and whoever enters with the Prophet (s) will be seen as the second man in Islam, and so the Prophet (s) would not enter without Ali (a). When Imam Ali (a) arrived, that is when they prayed their prayer and set off to enter Medina. As the Prophet (s) rode in, behind him rode Ali (a). The Prophet (s) was so careful in portraying the imam after him would be Ali (a), the issue was this detailed. This reminds us of Imam Khomeini, on that eventful 9th of February. I’m sure most of you have seen that famous photo of the Air France plane as Imam Khomeini walked out with the pilot of the plane arm in arm. There were many people around: scholars, journalists, the people of the revolution, even his son Sayed Ahmad, but he did not pick any single one of them to aid him in walking down those steps. He chose the pilot. Why? He didn’t want to lean on the arms of his son or any other man so that no one thinks the one by his side is the second man in charge. The French pilot could not be the Wali Faqih, so he was the one Imam Khomeini chose. This way, that iconic scene whilst the whole world watched on was in Imam Khomeini’s control. The historic photo that was taken, people would ask in the years to come: who was the man by Imam Khomeini’s side? Is he second in charge? It was rather evident that the French pilot wasn’t the second man in charge of the Islamic Revolution of Iran. The Imam had learnt the strategic methods of the Prophet (s). The men of history are this detailed and they think of every move. 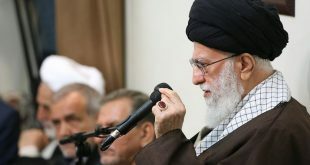 You see, dozens of events took place which show and tell us that Imam Ali (a) is the Imam after RasoolAllah (S), but the way in which history was abused and sources were scattered make it difficult for one to form a constructive and at the same time truthful picture of history, which leads a person to ask the question: why did the Prophet (s) leave the announcement so late? Well now we know…. He didn’t. 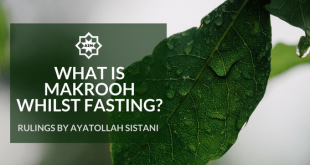 Ayatollah Sistani: What is Makrooh whilst fasting?